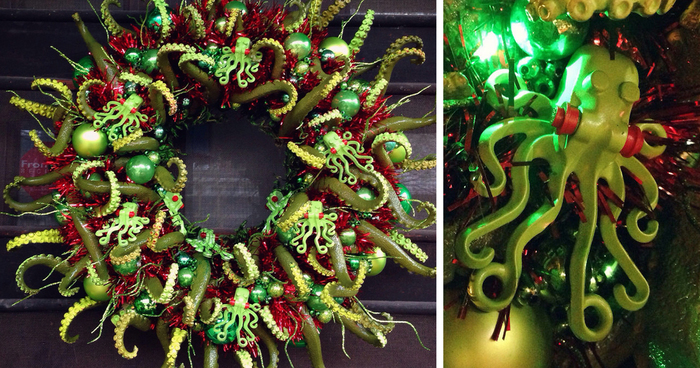 I Just Completed My Cthulhu-Themed Christmas Wreath. So Many Tentacles. Merry Cthulhumas! 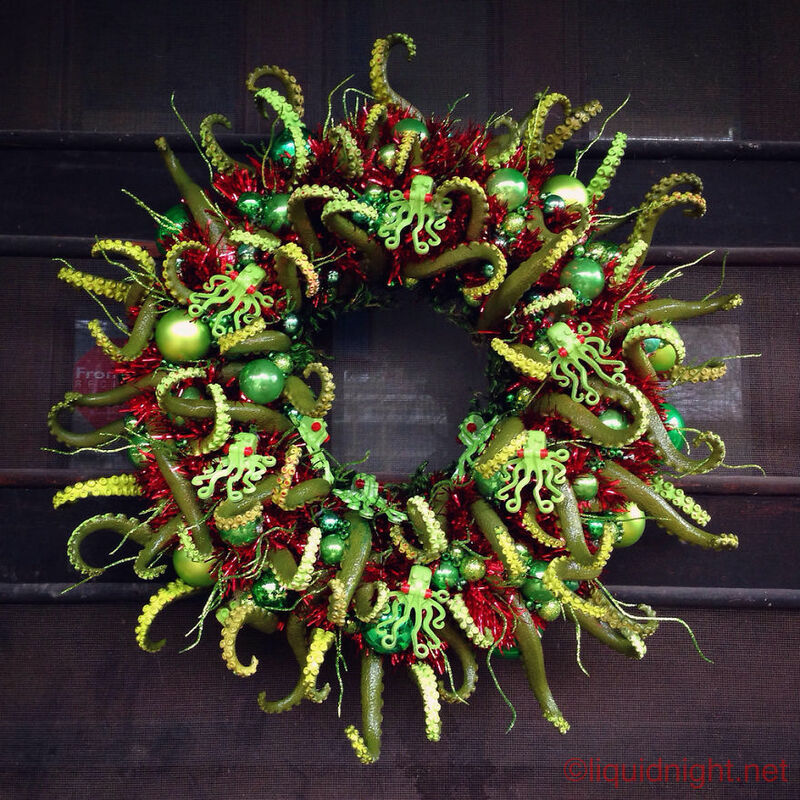 This tentacular wreath is the first of a few different Cthulhumas-related projects I’m working on this month. I’ve never made a wreath of any kind before, but after all the tentacles were painted and attached, along with a variety of vintage Christmas decorations, LEGO octopuses and LED lights, I’m pretty pleased by my monstrous creation. I may have lost a little of my mind in the process, but it seems a worthwhile trade for dabbling in eldritch crafts. Next I’ll be working on an updated version of my Cthulhumas tree. Stay tuned. It wriggles and writhes; it whispers when my back is turned. 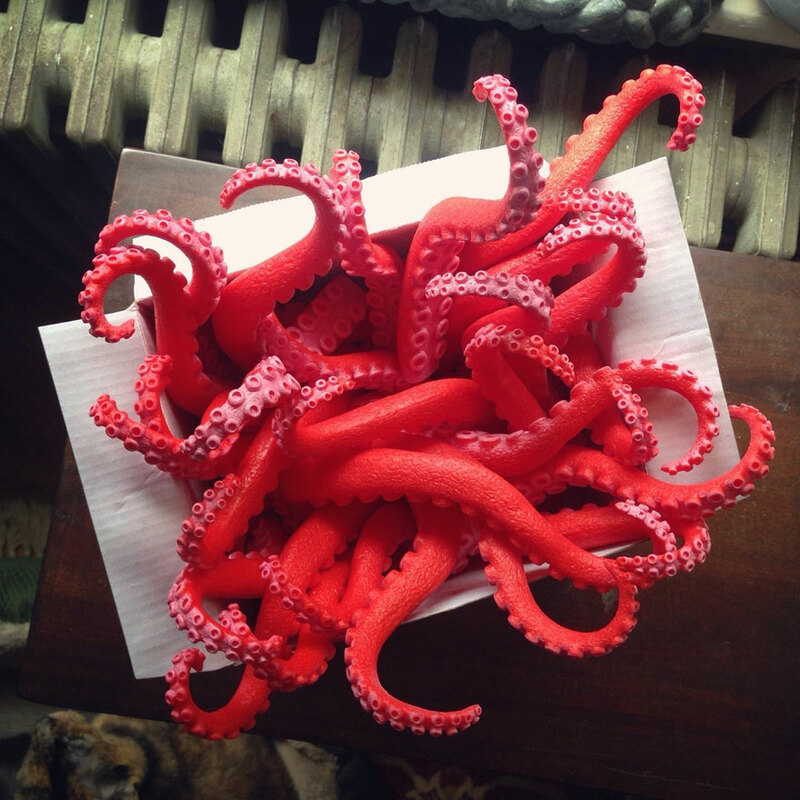 The shiny red beginnings of a new Cthulhumas creature. 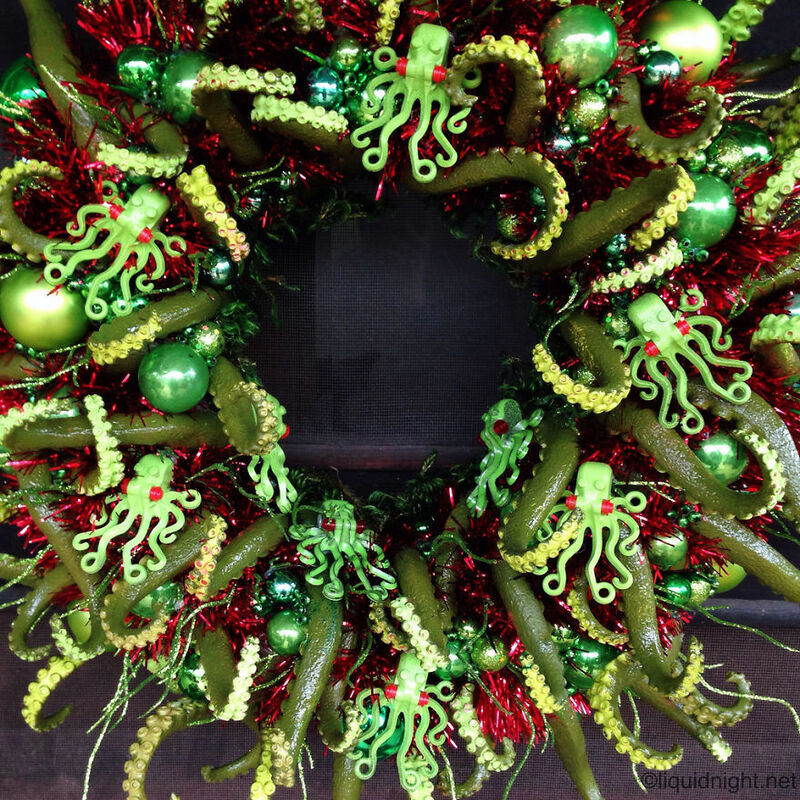 The Cthulhus were nestled all snug in their tentacle beds. I painted LEGO octopuses to turn them into tiny Cthulhus, emerging from the tentacular wreath. Its lights switched on, the wreath creature awakes. We’re all in trouble now. Queer femme bird-obsessed writer, bibliophile, and spider botherer. 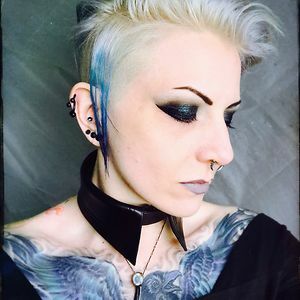 Social Media Specialist for refugeingrief.com & Staff Writer at hautemacabre.com. This has me seriously considering an alternative wreath this year - just brilliant !!!! !